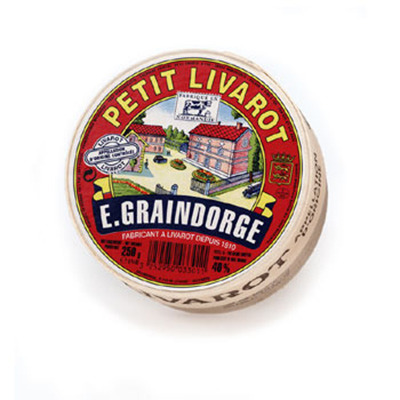 Livarot Grain d'Orge - sharp cow's milk cheese, soft and washed rind - 8.8 oz/250 gr, France. Livarot, a spicy red-bacteria-ripened cheese, was named after a town in Normandy. The rind is washed and colored with annatto, and sticks to the fingers. The ripe paste has no elasticity and feels heavy and moist on the tongue. 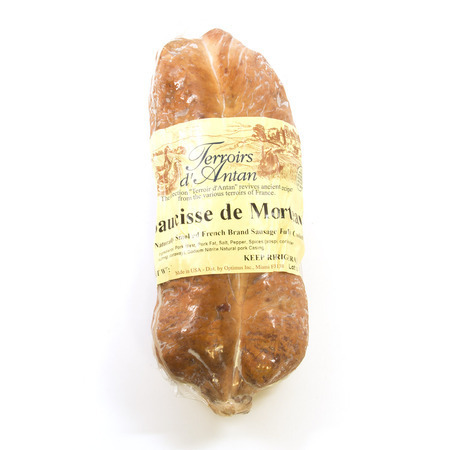 The cheese dissolves in the mouth, with a spicy flavor, close to that of dried meat. During maturing, the cheese is washed in water or light brine and turned regularly. 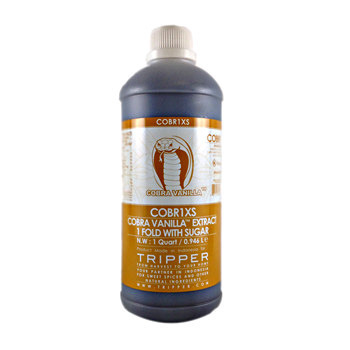 Compliments: Goes well as an appetizer on toast or with walnuts and grapes. Appropriate wines: Tokay late harvest, young Pomerol. Port-wine, Muscat, Banyuls, sweet wines.